Ability to identify the key squares, occupy it with the right pieces and execute the plan is something that separates the masters from the rest. Many club players don't realize the importance of the Key Squares. Simply put, those who control the key squares control the game. If you’re finally ready to kick your chess performance up a few levels (where all the trophies, prizes, and rating points are) then it is time to work on this fine element of the game. And you should do this whether you’re still early in your chess career or a battle-tested chess veteran seeking fresh input and ideas! Most chess players are trying to improve all by themselves, barely tolerating any kind of help at all. That’s who we’re… bold independent rebels ready to prove our point over the board. However, over my 30+ years as international level chess player and coach… I know that all the strong and successful players enjoy massive amounts of outside help. 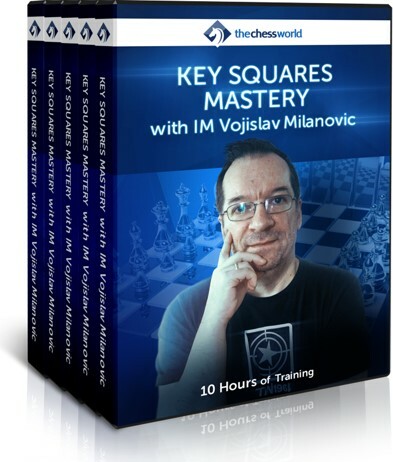 In this 10-hour Key Squares Mastery with IM Vojislav Milanovic, you will learn to flawlessly read the position, identify the critical squares, plan and maneuver your pieces to occupy the key squares and execute the plan. Everything is structured in such a way that by the end of the course you will know exactly how to use this important positional element regardless of the opening and middlegames you're in. You will have the new ideas implemented and “installed” in your chess toolbox - ready and available to use for your next game. This is because our training course is deliberately systemized by the opening type covering all the important plans, positions, strategies, techniques and ideas. It essentially allows you to use the very same tools and ideas that titled players use! We did most of the heavy lifting for you… telling you exactly what to pay attention to, what positions to aim for and how to convert them into the clear win! The “worst” that can happen is you’ll go through the course and gain “only” 50-100 rating points in the process… The best that can happen is you will experience MASSIVE performance gains in a very short time! After all, I have 30+ years of coaching experience helping hundreds of students at achieving substantial progress and scoring FIDE titles! My stuff works, and I know if you seriously study this course you’ll be thrilled with the results you’ll see at the end! Consider this, over the past few years I helped dozens on club players obtain NM and FM titles, some even making it as high as IM and GM! Indeed, I can’t promise that you will become a GM or an IM, but I’ll tell you this. If you study this course and implement the ideas you learn you will see a massive boost in your chess ability! In this 20-lesson, 10-hour course you will learn everything about the Key Squares. You will have the new ideas implemented and “installed” in your chess toolbox - ready and available to use for your next game. Train your "positional muscle" with a set of specifically designed tasks and challenges. Practical part is an important element of the course. Summary of the course compressed into a single PDF. Need to review a concepts or an idea on the fly? It doesn't get any easier than that! The downloadable summary of the key lines and ideas covered in the course - perfect for quick reference and review. Simply plug this file into your favorite PGN viewer and refresh the most important ideas, themes, and lines covered in this course! 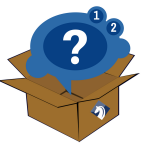 Instant download of 3 hand-picked mystery courses on Tactics. Let those GMs and IMs help you discover the secrets of winning combinations and tactical sequences. Great supplement for the Key Squares Mastery! is an international master from Serbia (formerly Yugoslavia). Vojislav held the IM title since 1993 and achieved a GM norm in 1996. He has a record of 2 wins and a draw against Peter Leko. Vojislav is the two-time winner of the Belgrade Chess Cup. He has worked as a coach for about 15 years with the famous "Partizan" chess club which has won the Yugoslavian championships 23 times [!] and won the European club championships 3 times.